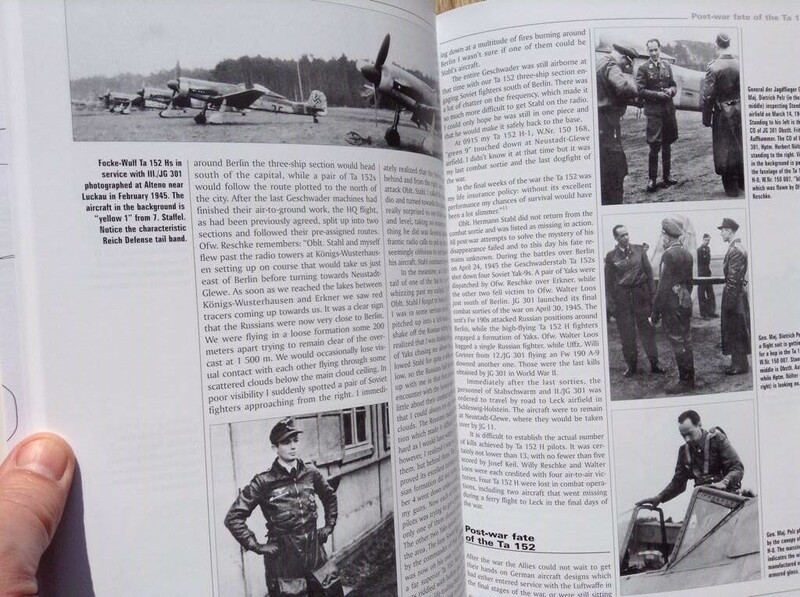 a rather slim volume of barely 80 A-4 softback pages from the most prolific Luftwaffe author, Marek Murawski, this new Kagero monograph frankly offers little or nothing new - aside from some large-scale pull-out plans and a handful of 3D views of on-board equipment. Most of the text is devoted to Fw 190 high altitude fighter prototypes from the V13, V15 to the V18. The brief operational history of the type has probably already appeared in Kagero's Air Miniatures title devoted to JG 301. 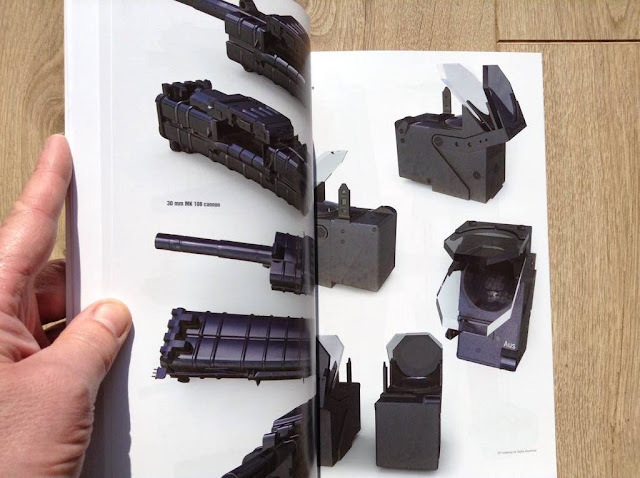 At least there is no artwork - or even mention - of the ridiculous all-red machine that has appeared in other publications. 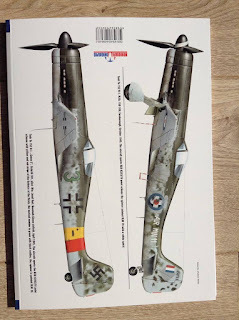 Both this particular machine and the combat record of the Ta 152 have been the subject of some discussion on this blog - see links below..
" .. the copy of Loos' Flugbuch that I have shows clearly that he had four victories in his Ta 152 – if they are correct, who knows. Nevertheless they appear to have been confirmed by the Geschwader-Adjutant on 07.05.1945. 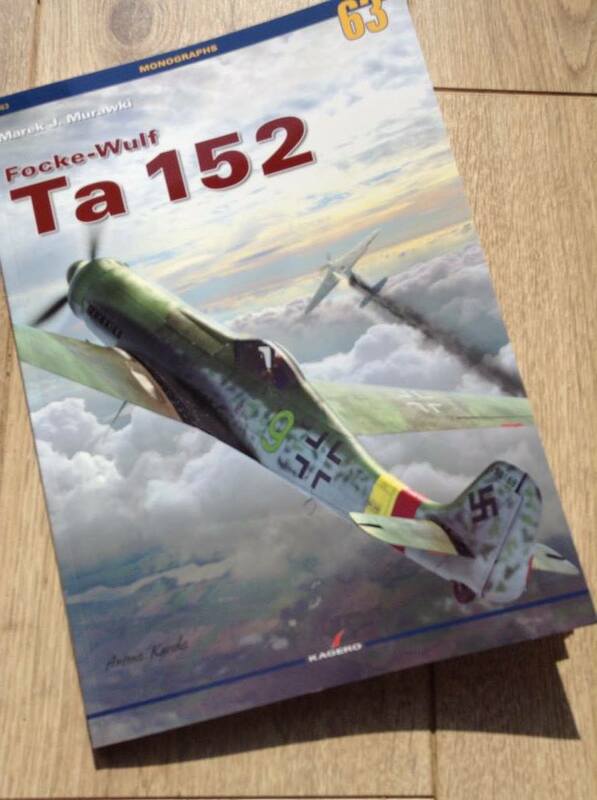 There must be gaps in his Flugbuch – I find it strange that he start into a combat flight with a completely new machine, the Ta 152, without any training-flight before? Not even a short “Platzrunde” took place when he took off in “green 3” on 20.04.1945. 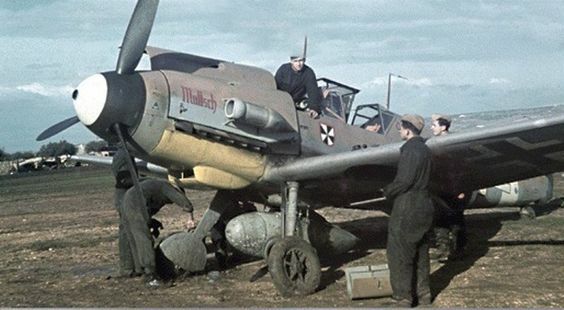 The flights with victories were on 24., 25. and 30.04.1945. On 24.04. he claimed two Laag 9 (near Berlin), on 25.04 one Laag 9 (near Nauen) and on 30.04. one Laag 9 (near Berlin) again. All flights took place from Neustadt-Gleve.."